The 8.9% dividend yield offered by Taylor Wimpey (LSE: TW) is very tempting. But this FTSE 100 house-builder’s share price has fallen by 20% so far this year, a loss that’s equivalent to two years’ dividends. 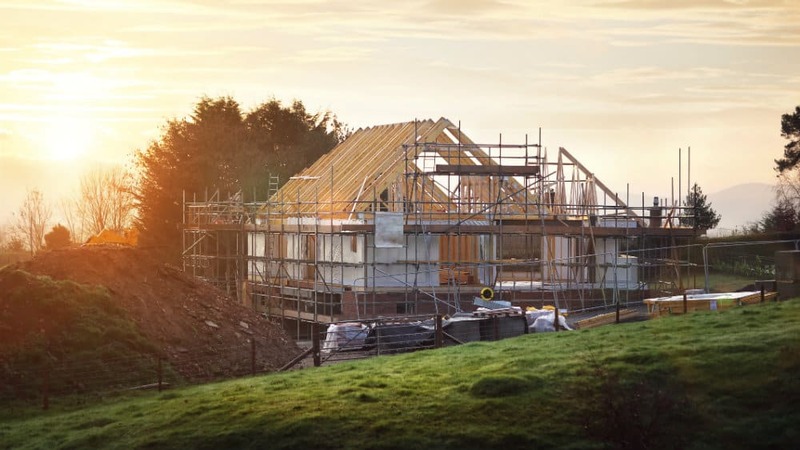 House-builders’ share prices have been weakened by fears about rising interest rates, Brexit and the possible end of the Help to Buy scheme. Are these risks already reflected in the share price, or could things get worse? There’s no doubt that the big house-builders are running like cash machines at the moment. Record profit margins and strong balance sheets mean that they’re churning out surplus cash. Taylor Wimpey is no exception. The firm reported an operating margin of 20% during the first half of the year. By 1 July, net cash was £525m, nearly £100m more than at the same point 12 months ago. The group’s order book stood at £2,269m, and 87% of planned completions for 2018 had already been sold. I think the biggest risk for shareholders is this stock’s valuation. Although the 2018 forecast P/E ratio of 8.2 suggests the shares are cheap, the firm’s tangible net asset value of 100p per share tells a different story. At about 170p, the shares trade at a 70% premium to net asset value. This reflects the expected profits to be made from the firm’s land bank and work-in-progress. If market conditions remain stable, that’s fine. But if profits fall, the share price could fall sharply back towards net asset value. Taylor Wimpey stock traded above 250p before the financial crisis. A successful Brexit might give the economy a boost and push the stock back towards this level. But personally, I think the price is about right for now. Many big house-builders are quite similar. One company that’s a little different is Inland Homes (LSE: INL). As well as building houses itself, this £127m firm specialises in buying brownfield sites. It then divides the land into build plots, secures planning consent and sells the plots to other builders. The group’s EPRA net asset value per share — an industry standard measure that includes valuation gains — rose by 6.3% to 102.3p per share last year, according to figures published today. Pre-tax profit rose by 8% to £19.3m, and shareholders will see their total dividend rise by 29% to 2.2p per share. However, what’s most interesting about this company is that unlike most peers, its shares trade at a big discount to their net asset value. At the last-seen share price of 62p, this stock trades at a 40% discount to net asset value. Given the firm’s track record of stable growth, this valuation seems harsh to me. Although rising net debt of £79.7m could be a risk in a severe downturn, I’m not really sure why else this business should be so cheap. Inland said today that its land bank contains 6,870 plots with an expected gross development value of £2.1bn. About 25% of these plots already have planning consent, or will have shortly. If I was a shareholder, I’d sit tight and would consider topping up. With the shares trading on 8 times 2019 forecast earnings and at a big discount to book value, the downside risk seems limited to me. And a 3.5% dividend yield means investors are paid to be patient. Roland Head has no position in any of the shares mentioned. The Motley Fool UK has recommended Inland Homes. Views expressed on the companies mentioned in this article are those of the writer and therefore may differ from the official recommendations we make in our subscription services such as Share Advisor, Hidden Winners and Pro. Here at The Motley Fool we believe that considering a diverse range of insights makes us better investors.